You’ve devoted your entire life to your family — taking care of them, providing for them, being there when they need you, and always planning for the moments you share together. Planning for that moment when you will no longer be there is just as important, and might be easier than you think. By purchasing Final Expense Whole Life insurance, you can provide for your family even after you’re gone. While no amount of money will replace their loss, making this smart decision now will save them from a financial burden later during a difficult time. Finding the best Final Expense insurance can be challenging, and we’re here to help you understand why one of Great Western’s plans may be the best option for you. While considering preplanning options, people tend to compare Final Expense insurance to Preneed Funeral insurance. However, the two types of insurance minimize burdens on your family in different ways. With Preneed insurance, you work with a specific funeral home to select and price all the elements for your funeral. Your Preneed policy locks in the total amount, and it is paid to the funeral home to cover your funeral expenses. Final Expense insurance doesn’t remove the task of planning the funeral, but it can alleviate the burden on your family of covering funeral costs — and an array of other expenses. 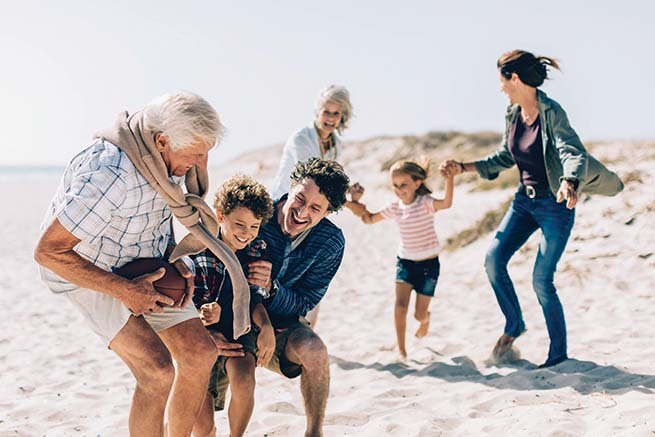 Your family can decide how to dispense the money, which can be used for unpaid bills, medical expenses, and even college tuition for children or grandchildren. If they choose to use it for your funeral, they can make arrangements with any funeral home. What makes Great Western’s Final Expense insurance plans stand out? Great Western makes qualifying for Final Expense insurance straightforward and easy by offering two whole life plans: Guaranteed Assurance and Assurance Plus. Guaranteed Assurance* provides coverage with absolutely no underwriting and no health questions to answer. If at any time a death occurs by accident as defined in the policy, the full death benefit will be paid. If a death occurs in the first two policy years, and is not an accidental death, the benefit paid will be 110 percent of the premiums paid to date. After the first two policy years, regardless of how the death occurs, the full death benefit is paid. Assurance Plus is designed for those in good health, looking for additional value. If you can answer “no” to three simple health questions (four in Florida), you will qualify for a 25 percent increase of the full death benefit starting on day one with no required medical exam. Plus, the Accelerated Death Benefit rider** is included at no additional charge on the Assurance Plus plan. This one-time benefit provides you with access to some of your policy benefit to cover medical expenses or supplement income if you are diagnosed with a chronic or terminal illness as defined by the policy. You would receive the present value of the death benefit, and any remaining values would be paid to your beneficiaries upon death. For only $1 a month, you can help protect your family with the Dependent Child and Grandchild rider. This one-time benefit will pay $2,500 on the first death of a dependent child or grandchild. Funds can be used for any purpose. Your 30-day satisfaction is guaranteed. Coverage builds cash value over time that is tax deferred and can be borrowed against. How much Final Expense coverage do you need? When it comes to paying for your final expenses, you can’t rely on Social Security alone. The U.S. government only pays a lump sum of $255 for those who qualify. You deserve comfort and peace of mind knowing your loved ones will have financial protection following your death. Because it’s impossible to predict the future, it can be difficult to determine an adequate amount of insurance to cover your Final Expenses. First, think about who depends on you and what bills they would be faced with immediately and long term if you were to pass away. For example, immediate costs could include your funeral and estate taxes, and long-term payments could include your personal debt and college tuition. 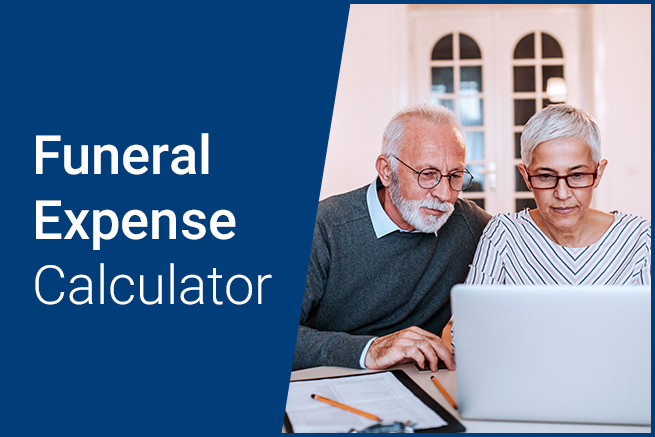 Our Funeral Expenses Calculator can give you a rough estimate of your funeral costs, based on whether you choose burial or cremation. It then shows how inflation can affect that amount over time. Next, add an estimate for unexpected medical and legal bills. Lastly, total up the list, and you’ll have the sum of minimum coverage required to pay for both your funeral expenses and any other debt your family will need to pay after your death. It’s important to note that if you already own a Final Expense insurance policy, financial and tax implications could occur if you purchase a new policy. However, if you do a 1035 Exchange, where you replace the old Final Expense policy with the new Final Expense policy, you may avoid tax implications. Check with your insurance agent to fully understand what replacing an existing policy would mean for you. To learn more about Great Western Insurance Company’s Final Expense insurance plan, use the Find a Final Expense Agent app below to locate our business partners in your area. * The Guaranteed Assurance plan is not available in the state of Washington. ** The Accelerated Death Benefit rider is not available in the state of California. Your benefits and premium will vary depending on the plan selected. Plan availability may vary by state. This is a solicitation of insurance and an agent may contact you.